What a way to get the 2017 playoffs started. It just goes to show that there is nothing better than winner take all baseball. Last night’s American League Wild Card playoff featured plenty of drama right out of the gate and many players new to October baseball were in the middle of it. Between the two clubs, there were 19 players that made their postseason debut last night. Six of those came from the victorious Yankees. Here is how each of them performed in their first playoff appearance. Luis Severino: We all saw how this one started. Severino allowed a leadoff homer to Brian Dozier, also making his playoff debut, as the postseason action got started in a hurry. Things didn’t get better from there. Severino got just one out in the first before being pulled after allowing four hits, two of which were homers, and one walk. Chad Green: Green entered to clean up Severino’s mess. He came out on fire in his postseason debut. With runners on first and second, Green struck out two straight batters to get out of the first inning without allowing any more damage. He would go two innings where he struck out four, walked two, and allowed one run. Tommy Kahnle: Kahnle impressed in his own right on Tuesday night. He would come in after 3 ⅓ innings of shutout ball from David Robertson and follow suit. Kahnle tossed 2 ⅓ hitless innings while striking out one and walking none. 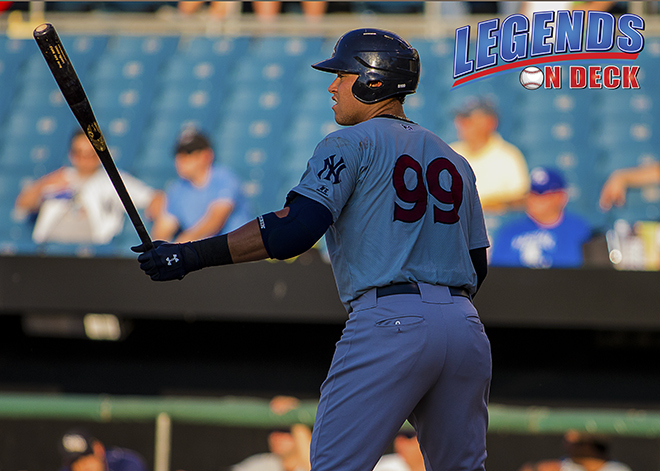 Aaron Judge: The Rookie phenom did what he does best in this one. He launched a two run homer to left field in the bottom of the fourth that would extend the Yankees lead to 7-4. Judge was 2/4 on the night and scored three runs. Gary Sanchez: The AL Wild Card champs got a big double from their star catcher as he ended up 2/4 on the night out of the three hole. Sanchez also played well defensively. He did have a ball sneak past his glove where he was saved by the umpire’s shinguard, but made some nice blocks as well. Aaron Hicks: The former Minnesota Twin got his first postseason hit as well as his first playoff RBI, but they didn’t come together. Hicks’s RBI accounted for the last run in the game, but it actually came on a bases loaded walk in the seventh. He finished 1/3 on the night. With the exception of Severino, the biggest contribution to last night’s Yankees victory came from their young stars and new postseason faces. The AL playoffs will be a blast to watch this October and they couldn’t have gotten off to a better start.